I’m very happy to introduce this next guest blog. 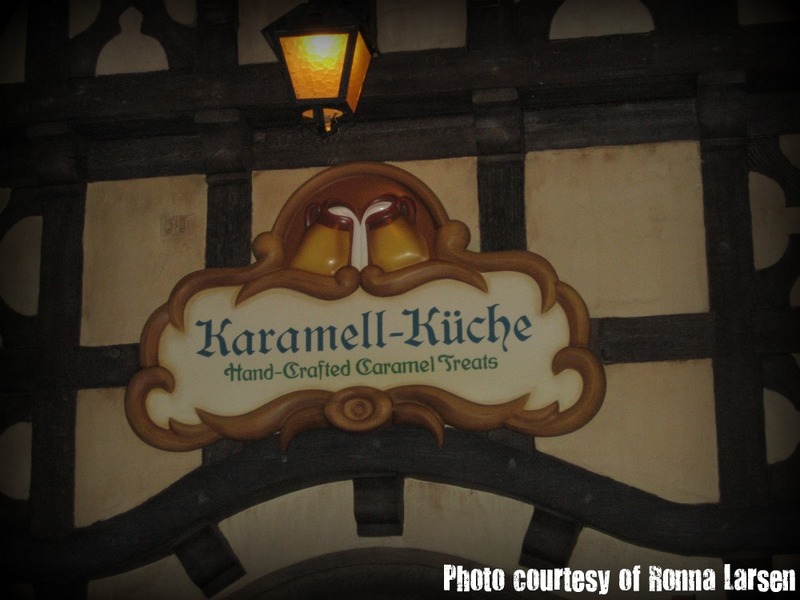 A few week’s ago I posted a video from Disney Parks that takes a sneak peek inside Karamell-Küche, or caramel kitchen, at Epcot’s Germany pavilion in World Showcase. This is the only free-standing shop for Werther’s, which is run by Storck. My husband’s cousin, Ronna Larsen, just returned from a trip at Walt Disney World. She has some great photos and a quick review of this new destination! Before you even walk into Karamelle-Küche (The Caramel Kitchen), in the Germany Pavilion at Epcot, you are entranced by the sweet smell of caramel corn being made. Besides caramel corn, you can watch chocolate/caramel-dipped strawberries and a variety of caramel apples being made. 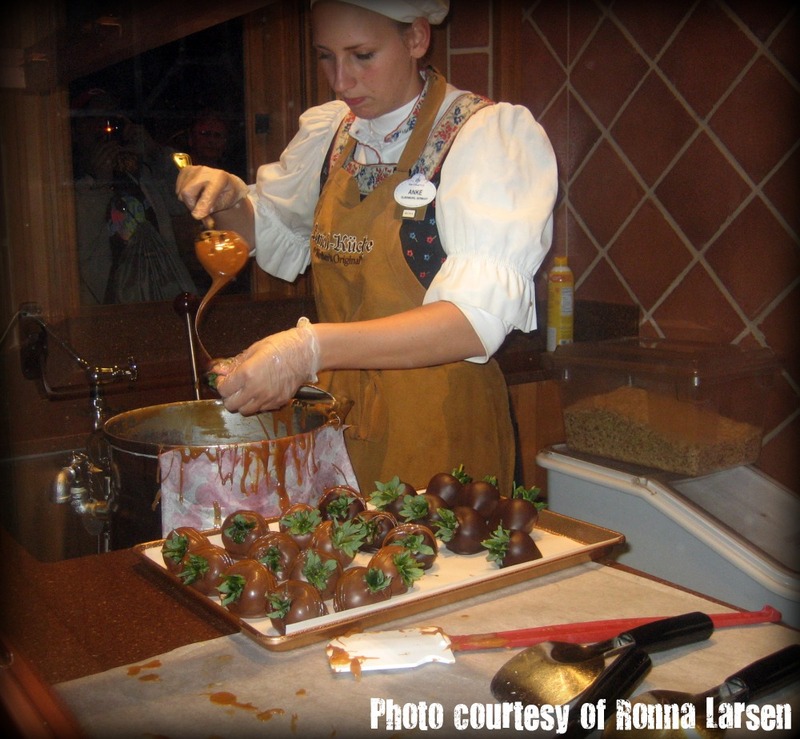 A Disney cast member makes chocolate and caramel-covered strawberries. Another cast member decorates some other sweet, caramel treats. Take your pick of treats at Karamelle-Küche. 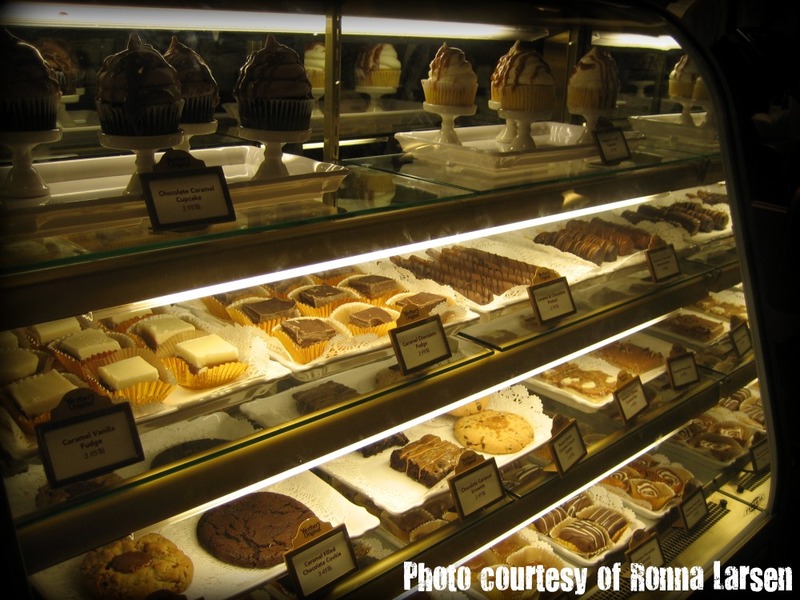 They have caramel fudge, cookies, cupcakes and more. Many of the snacks are part of the Disney Dining Plan so you can use your snack credits to enjoy a delectable treat! 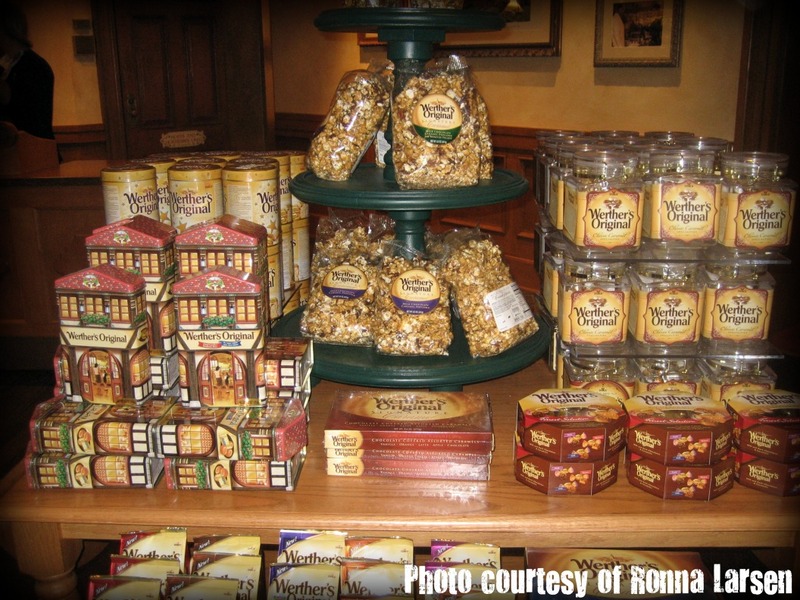 Pick up pre-wrapped caramel corn and other Werther’s treats to take home for gifts and souvenirs. There are so many treats try. On my first trip I tried the caramel corn (which is a close second to ﻿Garrett’s in Chicago﻿) and a caramel shortbread cookie that was AMAZING! On my second trip I tried the caramel brownie which was also very good. Karamelle-Küche is definitely now on my must do list of places to stop at when I return to Epcot. 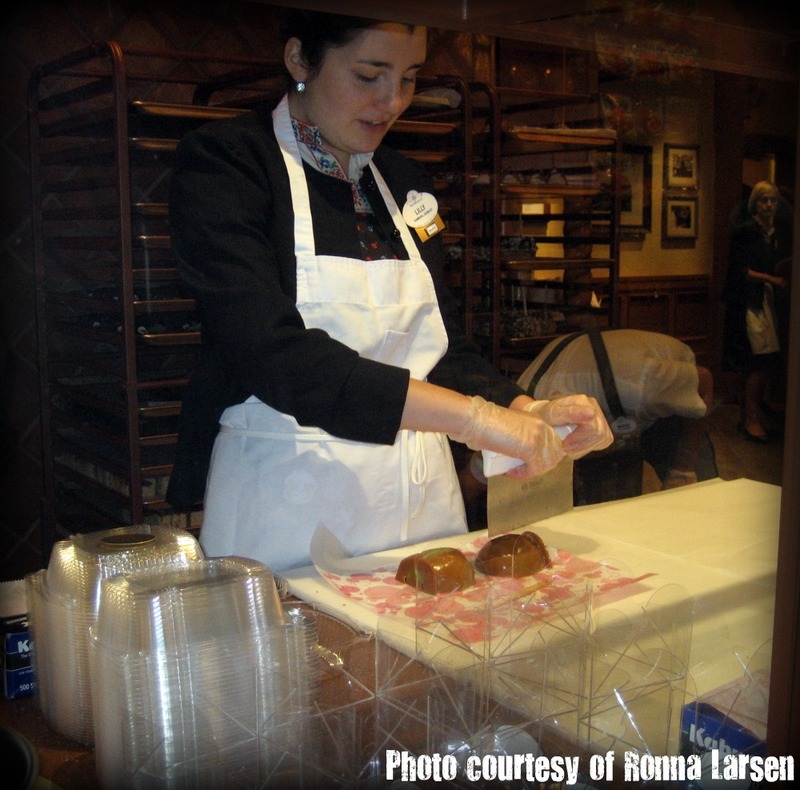 This entry was posted in Cuisine - Desserts, Disney, Disney World and tagged brownies, candy, caramel, Chicago, cupcakes, desserts, Disney World, Epcot, Garretts, Germany, popcorn, Ronna Larsen, Storck, Werther's, World Showcase by Christina. Bookmark the permalink.